Prices of second-hand commercial vehicles have risen by as much as Php150,000, a result of the Tax Reform for Acceleration and Inclusion Act (TRAIN). This was revealed by top buy-and-sell website OLX based on second-hand commercial vehicles ad postings on the portal, from January 2017 to April 2018. Speculations on the TRAIN Law fuelled the price increase on the 3rd quarter of 2017 and continue long after it was implemented early this year. The TRAIN Law has influenced the resale value of one to two-year old cars with an average increase of P90,000. 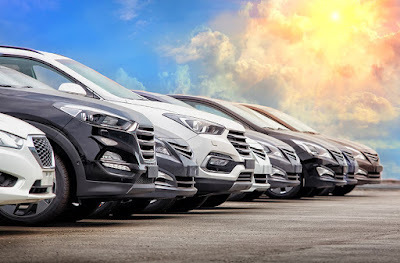 Among these are units with original retail price of P1million and above such as Toyota Innova, Honda CR-V, Toyota Fortuner, Mitsubishi Montero and Ford Everest. The first tax reform package of the present administration, the TRAIN Law provides for the increase in take-home pay of Filipino workers by reducing income tax rates while increasing and rationalizing tax rates in other goods and services. For automobiles, TRAIN simplifies excise tax but lower-priced cars continue to be taxed at a lower rate while more expensive cars are taxed at a higher rate. Meanwhile, no significant effect can be seen on prices of entry level passenger cars like Toyota Vios, Honda City and Hyundai Accent. Even with the price hike, OLX’s data indicates a steady market for pre-owned vehicles, from high-value to entry level, as the ad posting for second-hand vehicles continues to be on the upswing.